Lammons, E. (2013). Principles: Establishing the foundation for a self-access curriculum. Studies in Self-Access Learning Journal, 4(4), 353-366. 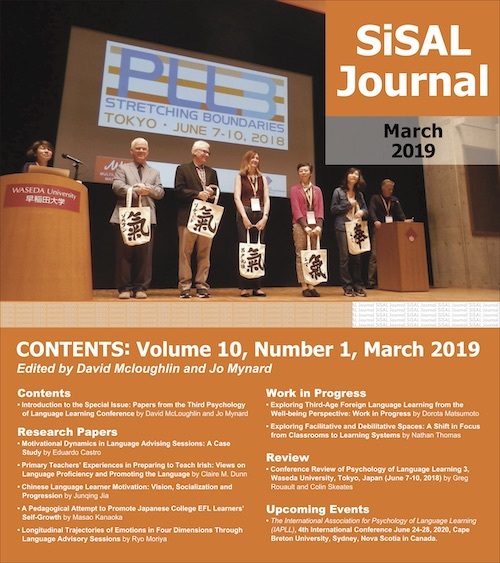 This third installment of the regular column documenting the curriculum development project taking place at the Self-Access Learning Centre (SALC) at Kanda University of International Studies (KUIS), Japan, focuses on the third stage in Nation and Macalister’s framework, namely Principles. While the previous installment (Takahashi et al., 2013) focused on establishing a clear understanding of student needs, essentially the “what”, or the content of the curriculum, this stage focuses on establishing guiding principles for the “how”: the format, sequencing of content and assessment procedures to be developed. In this installment, Elizabeth Lammons explains the process of deciding these principles, and how they were then used to evaluate the existing curriculum. The results of this evaluation allow the learning advisors to have a clear understanding of the strengths and weaknesses of the current content and delivery model, which will prove invaluable in the re-development process, which will also be guided by these principles. A copy of the principles in full is available in the Appendix. In continuation of the previous installment of this column, (Takahashi, et. al, 2013), this paper describes the principles stage which was undertaken in 2012 and culminated in an evaluation of the Freshman curriculum in 2013. As explained in the first installment of this column (Thornton, 2013), the learning advisor (LA) team at Kanda University of International Studies (KUIS) which consists of 10 full time learning advisors, has been involved in the process of redesigning a curriculum for the Self-Access Learning Centre (SALC) by following a framework adapted from the Nation and Macalister (2010) model. Following the needs analysis stage of this investigation, principles were established that were then used to evaluate the SALC curricular offerings in the form of modules to Freshman students. These modules include the First Steps Module (FSM) and the Learning How to Learn (LHL) module. This installment is an explanation of the process undertaken to determine the principles that would provide the foundation for the curriculum and the resulting checklists that were utilized to review the current SALC Freshman curriculum and provide direction for the future iteration. Based upon the results of the environment analysis, the needs analysis, focus groups, consulting literature and established learning outcomes, the LAs decided on principles for a future self-directed language learning course. Using Nation and Macalister’s (2010) subdivision of principles, the team set about creating principles for format and presentation, content and sequencing, and assessment. The team members split into three working groups and brainstormed ideas in Google Docs for each of the subdivisions. Then, each section of the principles was discussed online and in person with the whole LA team to ascertain which principles were necessary. The principles were created as should statements to assist in determining whether the statements have been realized in the current and future iterations of the SALC curriculum. From the established principles, small working groups were created within the curriculum team to turn those principles into working checklists that could be used to evaluate the current FSM and the LHL Module. This was undertaken by a curriculum team of six LAs who regularly updated the remaining LAs on progress and decisions via online platforms such as Google Docs and Moodle and in LA meetings. Within the curriculum group, working groups were established to handle the creation of each checklist for each area of the principles. For the purposes of explaining the details of each of the initial principles and the finalized principle documents, the first half of this column installment has been organized according to the principle subdivisions: Format and Presentation, Content and Sequencing, and Assessment. The purpose of this area of the principles was to establish the activities offered in the curriculum and the ways in which learners would use the materials offered. This included whether the course would follow a classroom or module format as well as the types of interactions that would be appropriate–group, pair, individual, face-to-face, or online. A major question that guided the team was “What should the delivery format be?” There was discussion about whether paper-based, online or a combination would be appropriate for the new curriculum. Another question that arose was “what kind of integration with language courses is appropriate or realistic?” This was important because the SALC operates within a four-year language university thus some interaction with language courses occurs through SALC orientations with freshman students in their English classes to explain SALC services which include the modules. In addition, LAs often visit classes periodically to do workshops on SALC resources, motivation, strategies, and the like. Following are some examples of some of the initial brainstormed principles that became finalized principles. Initially, the LA team brainstormed this statement: “Learners should reflect on their learning in the different forms including written form.” This was later changed to “Learners should have opportunities to reflect on learning in both written form and face-to-face.” This was important because the current First Steps Module limits learners to responding only in written form. The LAs realized that this might prevent learners from sharing more because of their writing abilities or other reasons that might impede them from reflecting more deeply on their learning. Further, another principle that was elicited during the brainstorming session by discussions about format and presentation was, “Learners should be able to implement their plan (with or without support from LAs)”. This initial statement led to a theme in the final draft of the principles which is titled, “Compulsory/optional” and there are two should statements within this category. First, “Any course involving the writing of a learning plan should also include a certain time of implementation (the length of time may vary according to the individual course).” Second, “Learners should have optional opportunities to continue implementing a plan after a course has been completed.” This is significant because in the FSM, learners do not have the opportunity to implement the learning plan that they create at the end of the module. Above all, LAs were concerned that learners did not have opportunities to try out their learning plan and to some degree this prevents the learners from making informed choices about implementing and evaluating their own learning cycles/plan. Thus, giving learners this opportunity might help them feel empowered to evaluate and make changes to their learning. Other items such as these were thoroughly discussed and culminated in a final principles document for format and presentation which can be found in the Appendix. To establish these principles, the LA team decided the content of the SALC courses and the order in which it would appear in the courses. There were several questions that the team attempted to answer. In the interest of space, this section discusses two example statements. As with format and presentation, the content and sequencing finalized principle statements are included in the Appendix. A primary focus for content and sequencing was “How much ‘input’ should the curriculum have? How much ‘experiential’ content?” Currently, FSM focuses on learner training in that each unit of the module focuses on different aspects of self-directed learning. Concepts that learners are exposed to via the units include goal-setting, needs analysis, time management, learning and affective strategies and creating a learning plan. Many of the units were uneven in the amount of input that the learners receive regarding the different topics. In short, there is a lot of reading and a fair amount of writing about how to learn. Some initial principle statements for this section addressed this issue. For instance, because of the concern about the amount of content, ‘learning burden’ was an established concept. For learning burden there were two initial statements, “The amount of content covered (whether as input or implementation of learning plans) should be realistic for a freshman student given their obligations to classes and extracurricular activities” and “Some content (e.g. learning strategies, time management strategies) should be spread over several weeks rather than delivered in one unit/lesson/chapter/workshop.” These initial statements actually became the finalized statements for this section of the principles. Moreover, the discussion about learning burden led to the idea of core course content and optional course content. Core course content was deemed content that learners absolutely needed to know in order to create, implement and evaluate a learning plan. These concepts are needs analysis, goal-setting, resources, strategies, making and implementing a learning plan. On the other hand, optional course content was distinguished from core course content in that it may not be necessary for all students. Thus it should be available for learners to utilize when they need it. This content includes time management and affective factors. Another question that arose from discussions about content and sequencing was “how to move learners from awareness to control of their learning processes?” A possible answer that was proposed was giving learners the opportunity to spend one semester for exploring and raising their awareness (about themselves as learners and the SALC/KUIS facilities) and another semester for narrowing down their focus and practicing taking control of their learning. However, the resulting principle statement was less detailed, “Students should spend some time exploring and raising their awareness before narrowing down their focus and practicing taking control of their learning.” The timeframe component in the initial principle was taken out because it is possible for students to do both in one semester and it should not be limiting. Considering the scope of the different aspects of assessment such as grading, feedback and course evaluation that resulted from the meetings regarding these principles, the principles for assessment were organized into three sections: Grading/Assessment, Feedback, and Course Evaluation. The following includes an explanation of a sample principle from each of the aforementioned areas from initial discussion to completion. A major area in Grading/Assessment was the question of “How would learners be assessed?” An initial principle statement was, “Students should be assessed on their ability to apply concepts introduced to them through core content sessions (module unit/class) to their own learning.” Also, “Grading procedures (rubrics, learning plans, etc.) should be shared with students at the start of the course, and made clear to them with as much detail as possible.” These statements were later changed to: “Students should be assessed on core learning outcomes introduced in a module/course.” and “The core learning outcomes will be identified clearly for each module/course.” These principles allow the LAs to see whether or not the current Freshman curriculum and future versions are consistent in the method in which information is shared with students about how they are graded. Next, the team addressed the question of the nature of the feedback that should be provided to students during the course or at the end of the course. An issue that was important in this section was the importance of a manageable assessment process for current and future LAs. Currently there are 10 LAs at KUIS, but managing feedback for hundreds of freshman students in addition to sophomores and advising sessions can take time, notwithstanding other responsibilities. Thus, feedback has to be manageable for the personnel as well as useful for the students. A principle that addressed this was, “Students should receive ongoing written feedback (written advising) on their self-directed language learning on a regular basis from a learning advisor (at least once every two weeks).” This was discussed because the LAs wanted to make sure that there was a sustainable system in place regardless of changes to the student population numbers or LA personnel. This principle was not modified in the final version of the principles. Following feedback, it was vital to think about the course evaluation as this would allow the LA team to evaluate the effectiveness of the courses which is obviously useful for ensuring that the curriculum is meeting the needs of its primary stakeholders. It also allows for changes to be implemented when necessary. For this area, the initial principles were relatively simple and all were adopted as principles in the final document. These items were all compiled together into a final principles document for assessment which can be found in the Appendix. The next section of the column is an explanation of how the principles were transformed into checklists that were used to evaluate the curriculum, and the results of that evaluation. It was essential to create an easy, sustainable system for evaluation that could allow the LAs to see at a glance whether or not the established principles were being met in the existing curriculum and in future iterations. In order to do this efficiently, small working groups within the curriculum team, which comprised six learning advisors, were created to transform the principles into checklists that could be used to evaluate the existing curriculum. The three working groups created checklists for: content and sequencing, format and presentation, and assessment. Each working group examined the principles in one of those areas and shaped them into questions that could be used to determine whether those principles were being met through the current modules. After the checklists were created, each group piloted the checklists with the first unit from the First Steps Module. Again this was completed in groups because it allowed the LAs involved to confer about the questions to ensure that the checklists were appropriate evaluation tools. In order to make the most of the curriculum work for the academic year, the curriculum team split into two working groups: one group designed and piloted a new version of the SALC freshman curriculum (which will be addressed in a forthcoming column installment) while the other focused on using the checklists to evaluate the FSM and LHL. The checklists had items that were organized by theme based upon the principles. Once the checklists were finalized, the working group used them to evaluate the First Steps Module. After evaluating the module using the checklists, the groups met again to discuss their findings and to make recommendations about aspects that were unearthed during the evaluation process. This process was also conducted with the LHL module. After evaluating the existing modules, two members of the curriculum team organized the results into strengths and weaknesses. As the evaluation took place for the FSM first and in interest of space, the focus of this section is a summary of the findings for the strengths and weaknesses of FSM only. First, for the evaluation of the module for this area, the entire module was assessed utilizing the checklist for format and presentation. As evidenced in Table 1 below, the LAs found more weaknesses than strengths with the format and presentation of FSM, so this is an area that needs attention during the creation stage of a new module/course. There are almost an equal number of strengths and weaknesses for content and sequencing for FSM. Each unit was assessed individually for this area as the LAs needed to look at all content: core course content and optional content and the organization of that content. Because there are many items for this section an attempt has been made to cover the major areas in Table 2 below. Focusing on improving these areas by providing solutions to these issues via a new curriculum is the action that has been suggested so that the curriculum that is provided to learners is aligned with the SALC’s principles. Finally, the FSM was evaluated again as a whole for this component. With this area it was found that there are more strengths than weaknesses. Table 3 demonstrates those strengths and weaknesses. As with the other sections, the summary of the findings raises the LA team’s awareness of their current curricular offerings and allows them to be mindful of the changes that need to occur for the betterment of the stakeholders. This installment of the column has described the establishment of principles for the SALC Freshman curriculum. The findings from the evaluation stage have enabled the team to prioritize the weaknesses of the FSM and to recognize its strengths. These strengths can be capitalized on and the weaknesses that were found can be addressed in the creation of a new module/course. Through the principles-based approach to the curriculum, the LA team can easily accommodate changes with research, stakeholders’ needs, and theory. It is possible to do this by discarding or changing principles without having to dispose of all of them (Nation & Macalister, 2010). By establishing principles and evaluating the current Freshman self-directed learning curriculum, the LA team is better equipped to create a more sustainable and relevant program. 10. Learners should be provided with opportunities to interact with other learners and have opportunities to share and learn from each other, in all courses, either face to face or online (or both). 1. Students should learn the following four different kinds of skills to optimize their learning.